<?xml:namespace prefix = o ns = "urn:schemas-microsoft-com:office:office" />Saturday/Sunday, June 7-8, 2008. IN the half a century since <?xml:namespace prefix = st1 ns = "urn:schemas-microsoft-com:office:smarttags" />Nigeria's independence it has become a key player on the African stage, and indeed a growing participant on the world stage. As some of your readers may know, I have recently returned from a trip to Nigeria, where I visited Lagos and Abuja. It is clear that a combination of democracy and sound economic policies are allowing you to begin fulfilling your enormous potential. Several years of economic reform, together with high commodity prices and a commitment from policy makers to stabilise the economy, have begun to make Nigeria, and Nigerians, more prosperous. A key aspect of these changes has been the reform of its banking sector and we can expect similar reforms in the important insurance sector. Such areas are key levers for more general prosperity and are important enablers for even further growth and development. A third area would be much greater openness for international lawyers and I hope progress can be made on this soon. 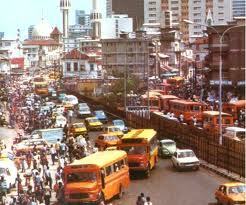 As the world's growing economies seek to establish strong supply chains, Nigeria is not alone in seeing improvements. Indeed much of Africa is now travelling down its own path of accelerating and lasting economic transition and - with the well-know exceptions - democratisation. Reforming African economies are benefiting from improved terms of trade, stronger macroeconomic policies, economic liberalisation, dramatic debt reduction, a critically important decline in regional conflicts and a marked increase in political stability - all of which can fuel growth. And Nigeria is in the vanguard of positive developments. Although European investment in Africa is well-documented, growing economies like India and China are recognising the importance of Africa for their own economic success - as their populations become more affluent they are demanding not only agricultural goods such as cotton, and other traditional African exports, but also diversified, non-traditional exports such as processed commodities, light manufactured products, household consumer goods, food, and tourism. I was interested to learn that India has granted Africa radically improved terms of trade. India's expertise in information technology, inexpensive medicines, and low-cost manufacturing make it an attractive source of partnerships for African nations as they try to modernise their economies. China, India and others are potential new sources of investment. But this needn't necessarily be a replacement for European investment - ideally you should be able to attract both. At a time of rapidly rising energy prices, Africa's resources are becoming ever more important to the global economy. It is the world's fastest growing oil and gas exploration zone and oil production continues to soar. Nigeria, as one of the world's largest oil producers is clearly benefiting from this, although this hasn't been without its difficulties. But as you know Nigeria is not just about oil, there are signs the economy is diversifying into agriculture, services and transport. While visiting Nigeria, I was privileged to meet many politicians and private investors. The aim of the visit was to build on and expand links between Nigeria and the City of London, also to share our unique pool of knowledge and expertise in the field of financial and business services to help Nigeria's economy grow and prosper. International financial services underpin the global economy, providing the insurance, capital and risk management to support the trade in commodities and goods. Indeed, London acts as an international hub for countries around the globe that seek advice and finance to the extent that even those within the African region often deal with each other through London, so great is our pool of expertise. London is not only the most internationally liquid marketplace on earth, but it is also a truly international financial centre, at the heart of world time zones, and the ideal location to raise capital for investment and trade across the globe. We are keen to explore ways in which the City can assist the development of Nigeria's domestic economy and complement the global expansion of its international firms. London is uniquely placed to assist this expansion - we have a long history of investment, trade and partnership with the African continent. In a country such as Nigeria where 50 per cent of the population is Muslim - London is uniquely placed to share our experience providing Sha'ria compliant financial services, which we have been doing for 30 years. We have developed and created market compliant products and the infrastructure behind them, and established ourselves as a zone of expertise for Islamic Finance. As the world's leading international financial services centre, London provides a model of best practice that permits business to take place in a high-quality environment where the rule of law applies irrespective of religious creed or ownership. We are keen to share the model to help Nigeria's economy grow and prosper. We look forward to welcoming more well-qualified Nigerian firms onto the London markets and exploring ways in which Nigerian companies can make greater use of the benefits of London as a location for international business. London's economy has developed over many centuries - I hope we have learnt from the mistakes of our past, and accept that we may make mistakes in the future - but as an outward-looking City where over 300 languages are spoken, we are keen to share the knowledge we have acquired. As Africa's most populous country, what happens to Nigeria over the next decade - where it invests and the success it has, is a matter of prime importance, not just to Nigeria, of course, but also to its friends in the international community such as Britain. Its human and natural resources make it a natural leader and it has 140 million good reasons to succeed in achieving its aim of becoming one of the world's top 20 nations by 2020. David Lewis is Lord Mayor of the City of London.